Want to say a big thank you to your guests for attending your special day? Or want to keep the children busy and entertained? 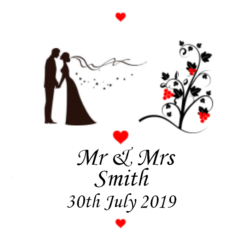 Then take a look at our range of personalised wedding favours, from favour boxes and sweet treats to children’s activity boxes and gifts. You can add that extra special touch by personalising your favours and or gifts by typing a little message when you purchase one of our products. Just a little something to make your day truly memorable.